Scope of project includes renovation of performance hall and summer homes. Clean work and a tidy jobsite contributed to a finely detailed restoration of this historic architecture. Rick Sutherland, the owner of Sutherland Painting Co. was featured on the front page of the Boulder Daily Camera (see photo here). 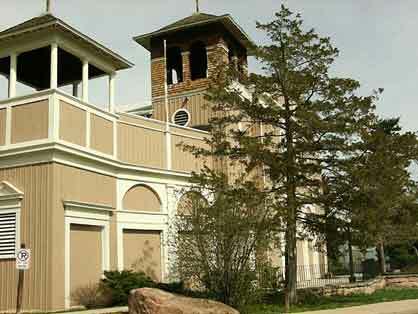 Chautauqua Performance hall is an example of the bigger commercial projects we have completed on time and to the complete satisfaction of the customer.